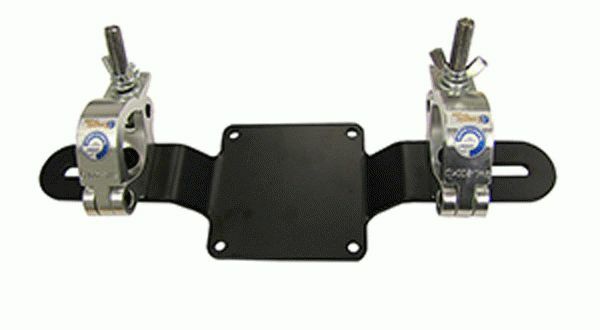 Introducing the latest new product from Cosmic Truss - the TV Mount bracket - which offers a smart, simple and convenient solution for mounting any VESA compatible monitor or TV to your trussing. 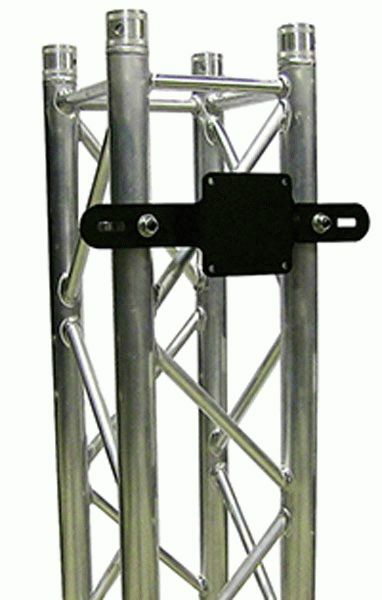 With variable clamp spacing, the TV Mount bracket can quickly adjust to fit different size truss, giving flexibility from event to event. The TV Mount comes complete with two of the 5035-2 narrow half couplers, so it's ready to go out of the box. 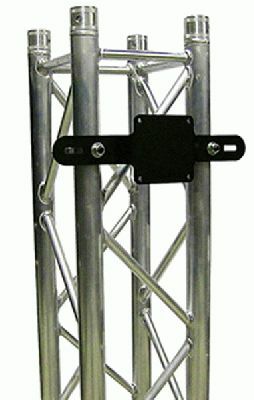 Contact your local Cosmic Truss dealer for preferred pricing and more information. If you need a list of dealers close to you, please write a mail to info@cosmictruss.com with your location.